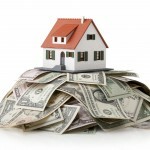 Polk County Insulation > Home Insulation Blog > Wondering What to Do For Your Home Insulation? Call Us Today! 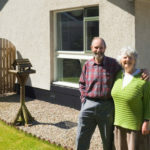 Wondering What to Do For Your Home Insulation? Call Us Today! With so many options for home insulation, it can be hard to know where to start. Is this a job you can do yourself, or is it necessary to hire someone? Which type of insulation will be the best choice for my home? If you are wondering what to do for your home insulation, feel free to contact our team at Polk County Insulation today. With 20 years of experience, we know what we’re doing when it comes to insulation. We are happy to offer quotes for insulation removal, replacement, and so much more. Batting insulation: This is a very common type of insulation, and it could very well be the kind of insulation in your home now. Because this insulation is made to be cut to fit a space, it’s used often when people install insulation themselves. However, when improperly cut and then placed in your walls or attic, it quickly loses usefulness and efficiency. Batting also comes made out of several different materials, like fiberglass or cotton, which is another aspect to consider when choosing your home insulation. Blow-in insulation: There are many benefits of blow-in insulation, like better efficiency and faster installation. This kind of insulation is much more difficult to install yourself since it requires special equipment and tools to install it properly. When done by our professional team at Polk County Insulation, you can trust it will be installed correctly, and that every gap and crevice will be filled and covered. Blow-in insulation is also available in different materials, so you can choose what will suit your home best. Don’t stress about your home insulation — call Polk County Insulation today and we’ll be happy to answer any questions you might have. We look forward to hearing from you!